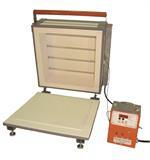 Home > KILNS > Glass Fusing Kilns > The Bonnie Glo - 15" x 6"
This Unique All Fiber Kiln is Really Quick. Because it is made from fiber most of the heat is absorbed by the glass and not the kiln. This allows a painter or fuser to do a few firings a day. The cool down is very quick since the fiber does not absorb the heat like fire brick. 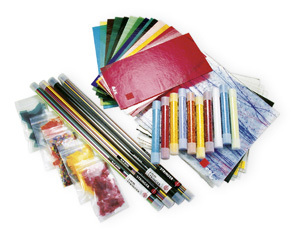 No shelf is needed, you can use fiber paper on the bottom, kaiser lee board, or lava cloth. 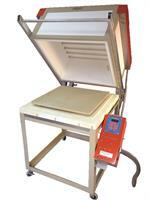 This kiln comes standard with the Orton Digital 3-key controller. Price Includes: Kiln Wash, Stand, Manual.